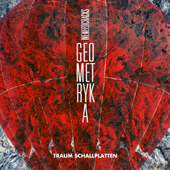 We Need Cracks give with this stunning 3-track EP "Geometryka" their debut on Traum. We Need Cracks are the French duo from Toulouse Fabien Garcia & Antoine Rigail who have released on smaller labels so far. Both were musicians before they entered the world of electronic music party. 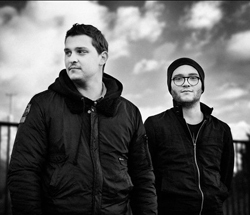 "Troposphere" is the opening track of the French duo and a brave one indeed when it plunges from heavy baselines. We Need Cracks are true masters of a delicate composition and have established themselves with this tune on Traum as one of the top recent producers. Please judge for yourself. "Solarium" is a great piece of electronic music that conjures up the magic spell of Kraftwerk like melodies, so eternal and immortal and still very modern in its approach, that it leaves you with "goose skin" as we say here in Germany. This is music so emotional and yet so controlled when it gives away only small portions of it time by time that it lets your inner self scream with joy. We don’t want to say much more but let you decide on this phenomenal song. We Need Cracks tell a tale with "Telescopium", when they switch elegantly from a snap-reading method to an epic one, keeping a perfect pace of slow motion and acceleration, deep inside a quiet storm. "Telescopium" creates skillfully and with brilliance spaces between the lines, that set free a lot of imagination. Their wide ranging dynamics in "Telescopium" refer to subject masters such as the sky, the earth, science, the elements… but do connect very strongly to earthly matters when melodies evoke great sensual French film music. Through that We Need Cracks create that subconscious and "muffled sensation" that clads "Telescopium" so elegantly mild and sensual.